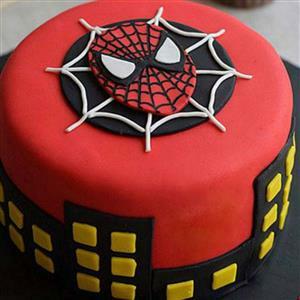 Send 2Kg Chocolate Spider Man Cake Round Shape to Chennai. Gifts to Chennai. Send Cakes to Chennai.